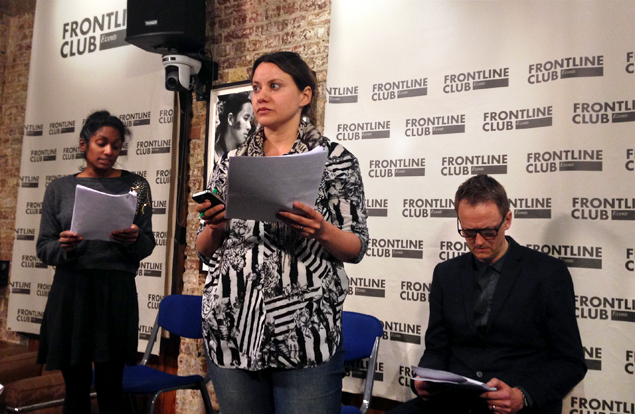 On Wednesday 26 March 2014, Lacuna magazine hosted a night of discussion and performance at the Frontline Club chaired by Maureen Freely, English Pen president. The birth of McIntyre‘s daughter, Molly, led to her leaving the Greenham project but led to the start of a whole new chapter in her life: Molly’s life with disability and her fight to get her into mainstream school. McIntyre documented the entire time through her photographs which eventually formed the book The Time of Her Life. Lacuna editor Andrew Williams and lecturer in law and creative writing at Warwick University said that after 20 years of working in legal terminology as a lawyer he became incensed by the constrained language and form he was forced to use. 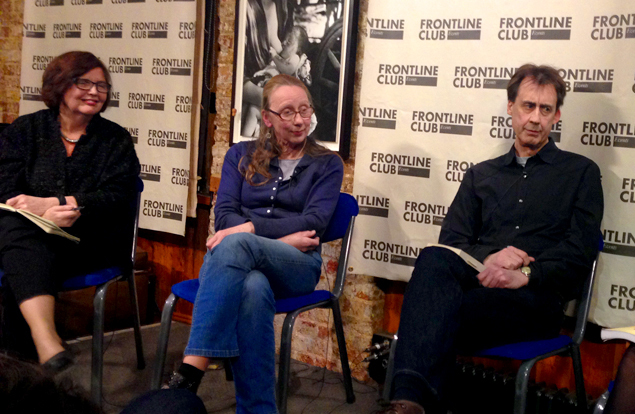 He decided to take it out in creative writing, particularly his book A Very British Killing, which describes in minute and intense detail the case of Barha Mousa, who was beaten to death in the middle of a British military base in Iraq. ice&fire artistic director Christine Bacon started out as an actor in Australia. In 2001, the then-Australian prime minister John Howard refused a boat of asylum seekers from Afghanistan and Iraq entry to the country forcing them to be detained on the small island nation of Nauru for four years. The Australian people subsequently voted Howard back into parliament. Bacon attended a meeting addressing the situation and heard a woman speak who had survived for three days in the ocean after around 350 people drowned around her. An audience member asked, how do you stop these outputs from being purely aesthetic or on the reverse being swayed by government or NGO outlooks?